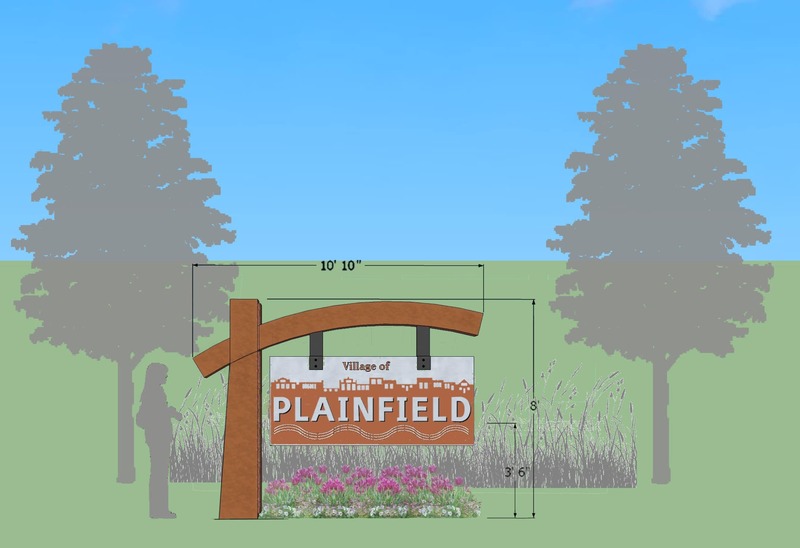 To assist the Village of Plainfield develop new gateway and entrance signs, and a landscape enhancement catalog, Upland Design was brought into lead the visioning meetings and build consensus with stakeholders. 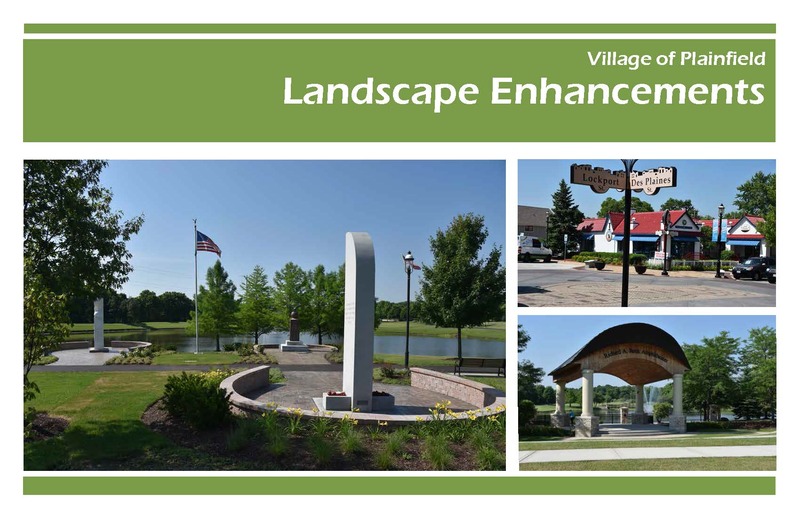 The process began with defining the Village using words and images to better understand the aesthetic that was desired. 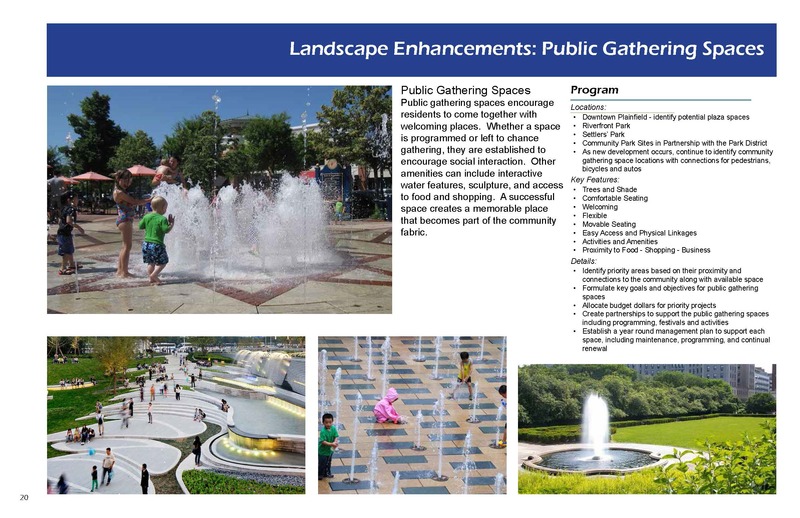 Using wireless technology, stakeholders were able to participate during the meetings for fully interactive sessions. 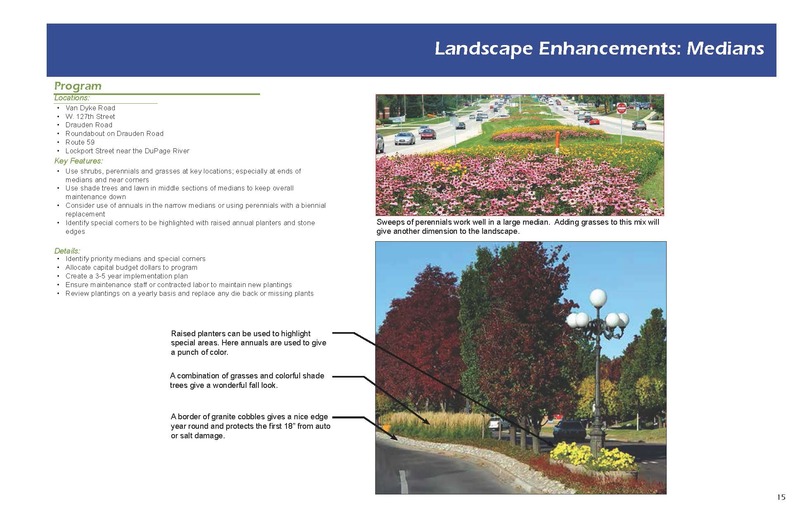 After 4 meetings, a final Gateway sign and smaller entry sign were approved by the committee. 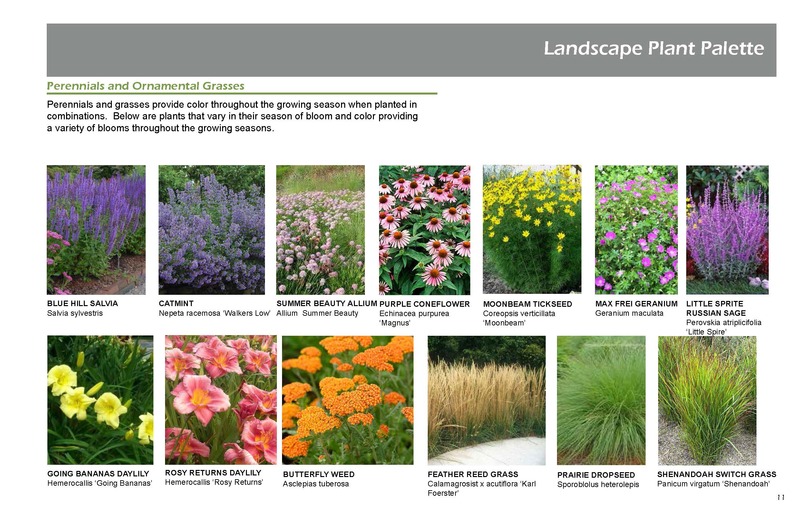 The signage package along with a landscape enhancements catalog were presented to the board to guide future implementation. 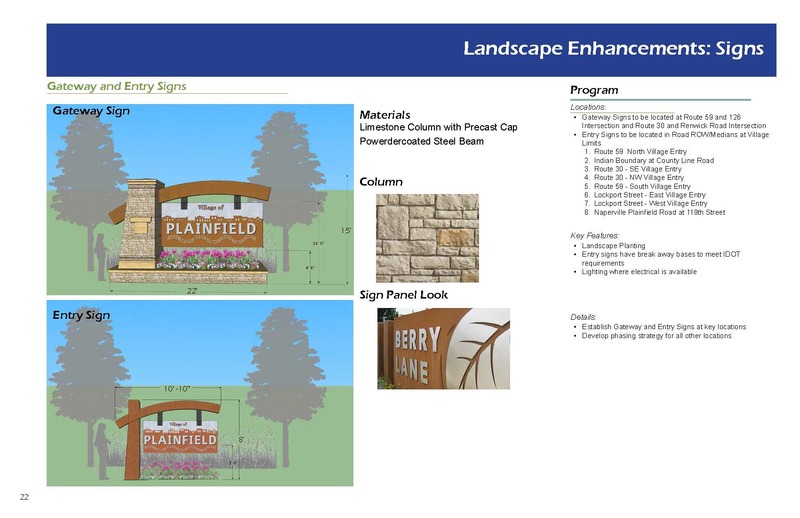 The new signs incorporate stone and metal to express local history connection with a progressive look to the future. 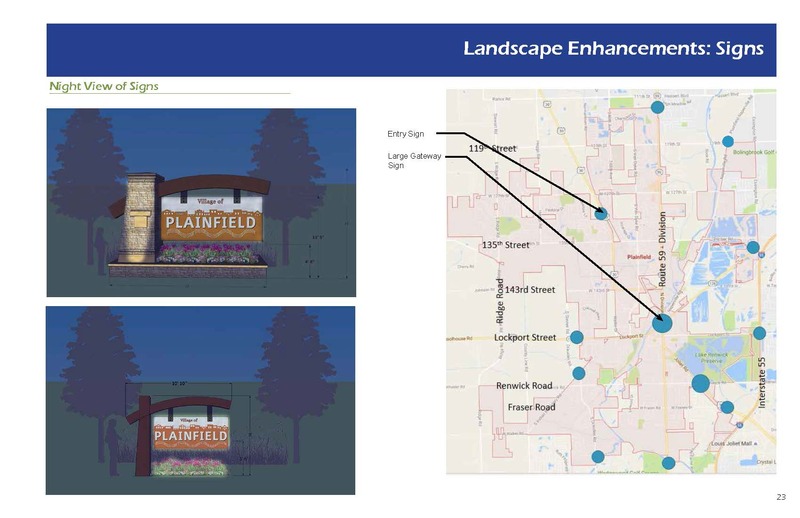 The complementary bold shapes of the gateway and entry signs create a cohesive look for the various locations around town.